Today I’m back with a Fluid Label Focus on CRÓNICA on this blog. And I’ve got an excellent album by a familiar name for you. 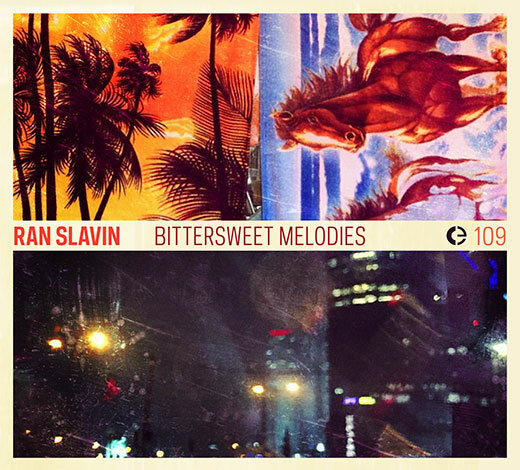 This is the album BITTERSWEET MELODIES by RAN SLAVIN, released on CRÓNICA in 2016. Miguel was so kind as always to send me a review copy of the Limited-edition CD version which comes with some lovely artwork by RAN SLAVIN himself. This Limited-edition CD comes packaged in a two panel gatefold cardboard sleeve on which you can find the cover artwork on the front, album credits, tracklist and copyright info handwritten into the artwork on the back. The spine lists the same info as on the cover in text as well as adding the full CRÓNICA name and year of release.The inside of the sleeve features some gorgeous photography blended with layers of painted washes of colour that give the artwork a surreal look. The CD itself is housed in a flap on the right panel and features the CRÓNICA logo, catalogue number, artist name and album title and CD logo on a blue circle background which is cut off slightly to reveal a metallic edge of the CD around as a border. Before listening to BITTERSWEET MELODIES, I’ve revisted RAN SLAVIN’s 2004 release on CRÓNICA, Product 02 which featured a pretty varied selection of pieces, often with a cinematic sound created by layers of vinyl music samples, glitch elements and electro-acoustic manipulations. BITTERSWEET MELODIES (which was compiled from musical material that was originally intended for a release on th Mille Plateaux label) finds RAN SLAVIN working with a similar approach but with more subtle and slower progressions embedded in the 12 compositions on the album. Indeed most of the 12 tracks have a more “song-like” atmosphere in them but composed as melodic washes of multi-layered cinematic soundscapes that all fade out, like a collection of melodic memories, moving towards a more rhythm based sound towards the end of the album. BITTERSWEET MELODIES starts with SATURDAY’S DATES, a piece that admittedly takes some time to get into. Built around an evercontinuing synth drone, the piece features lo-fi crushed glitchy percussion that recalls early 90’s IDM / Braindance percussion. The progression of the piece is very subtle with only slight changes in the percussion and melodic background over it’s 6:09 length, the extra notes added over the drone in the second half as well as changes in the sound of the percussion do add some nice evolving elements to the piece however. It’s definitely very trance-like in nature so in that sense it works well. Then we have CATEGORY: MURDERED ENTERTAINERS which has a kind of “late night café” ambience to it, created out of (mostly) jazzy vinyl music samples as well as some Middle Eastern samples which add some film soundtrack like surrealism to the mixture, feeling like waves of music coming through the open door of this late night café. RAN SLAVIN varies the melody he’s created using the samples in a very fun rhythmic manner and the vinyl crackle and bell samples all add there own kind of little details of “percussion” to the music. The dissonant combinations of music samples do however also add a sense of mystery to the piece which adds a good dose of intrguing to the music, very nice. On DISRUPTIVE LOUNGE, SLAVIN moves into more abstract glitchy territory with more manipulation of the vinyl samples, weird squelchy pitch shift effects and crackles. Indeed referring to the track title, it’s a bit like multiple record players in a lounge have started to take their own lives and freely manipulate whatever music they are playing in strange quirky ways, sounds very fun. FAKE SUNSETS is an extended sonic vignette build up of a stuttery drumloop over which Middle Eastern music samples and sharp synth notes are laid creating an ambience that feels both meditative and alien at the same time, intriguing sonics in here. On DUBAI DAWN we have vinyl samples with similar Middle Eastern strings but the sound of this piece is much more abstract with the samples stuttering, tumbling and glimmering around the sonic stage. Combined with crystallized samples and choppy female voice samples an atmospheric space is created that is very much Glitch based but in which the melodies from the Middle Eastern music still resonant and create an ever continuing loop of one point in a musical piece like freezing a moment in a situation in time and magnifying all the details in the environment around you. The heavily chopped drums that pop up at some point in the second half are even a bit reminiscent of Breakcore but in a very subtle way. SAD BUT TRUE is a piece that reminds me more of Product 02 in its style, a continuous kind of droning stream of layered melodic fragments and glitches combined with crackles like lo-fi sea waves and tense mysterious tones. The piece holds a continuous feeling of uncertainty that is made more “human” through the glitchy textures by the piano samples. Mellow “hollow” glitchy samples in the second half form stabs that subtly reference Dub Techno too however, making the piece also feel a bit like a leftfield beatless atmospheric Techno track too. Very intriguing again. SINATRA WAS HERE features some hilariously off the wall Plunderphonics techniques that come straight out of the blue. It is indicative of the more light hearted sound this album has at times compared to the more diffuse / abstract Product 02 release. The piece follows a pretty simple structure, being based around a looping Latin American music samples that is layered with all kinds of other quirky maninpulated music samples, some pitch shifted, some chopped up heavily. The main returning phrases in the samples are Latin American melodic patterns performed on guitar that perfectly fit the main loop. The piece as a whole is an enjoyably odd musical collage but the slight roomy sound to the music still adds a cinematic edge to the music that SLAVIN’s music often has. THE PINEAPPLE ASSASSIN moves into more Techno influenced territory with a low bouncy kick and filtered subdued vinyl samples and mechanic crackles and rhythmic structures. Subtly evolving in waves, the music reminds me of Jan Jelinek’s turntable works but with the mysterious melodic edge SLAVIN’s like to use. The music is calming but never without its hidden secrets. 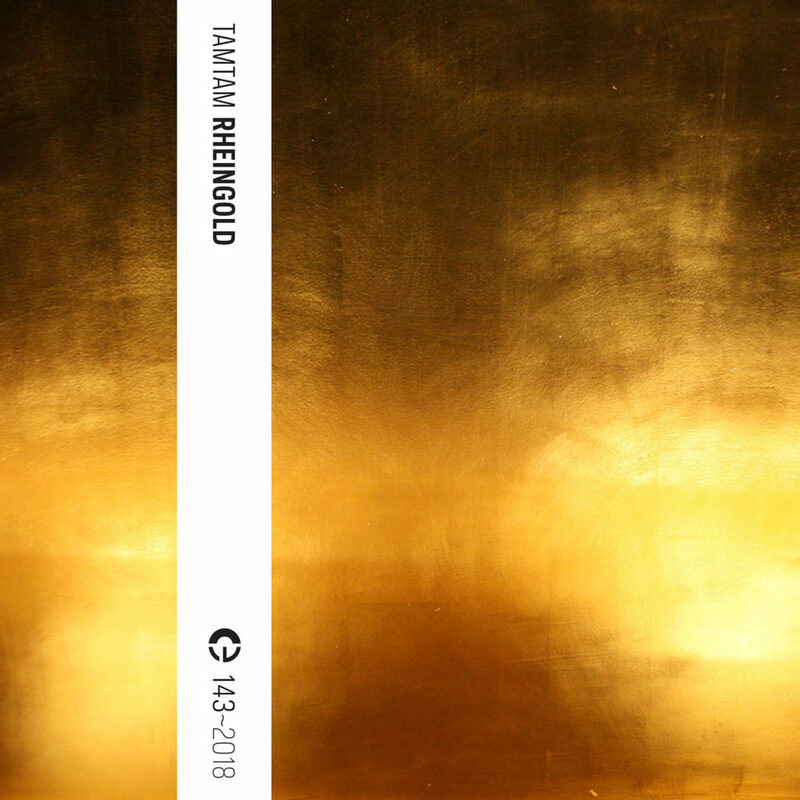 COLLAPSING MELODY features some classic styled abstract swirling Glitch work accompanied with subtle repeating music samples laid on top of what sounds like the field recording of a quiet almost empty café. A nice shorter piece with plenty of enjoyable sonic manipulation within. 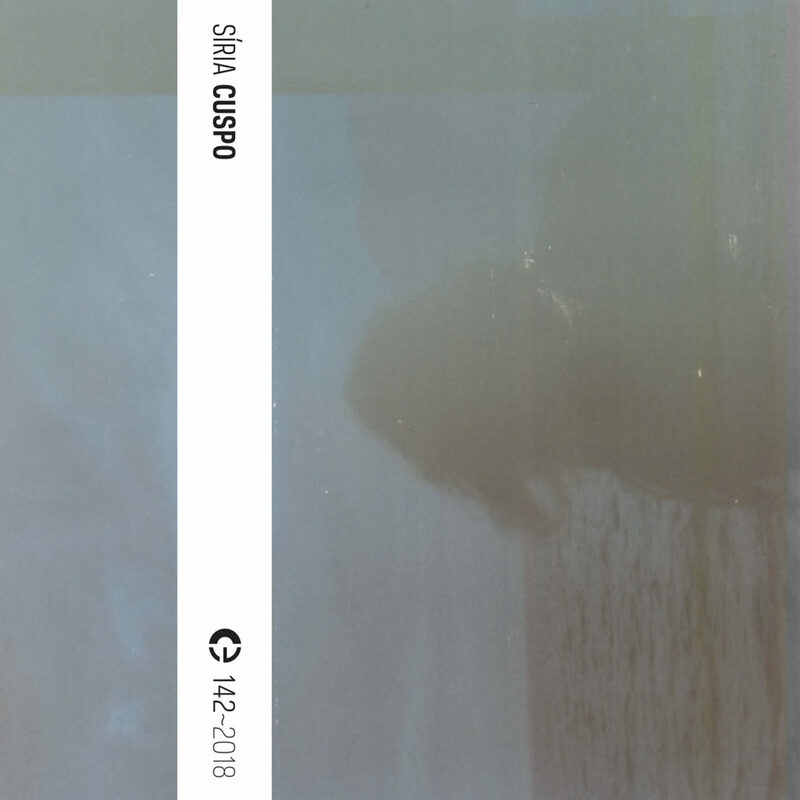 On FAST MOVING CIRCUMSTANCES we have a lo-fi Downtempo groove combined with swirling streams of music samples, again with prominent bell sounds. The piece has a minimalist Techno feel to it too and the swirling phaser effect on the samples gives the music a deep and trippy feeling. A hypnotic entrancing piece of music that also carries mystery and an intriguing “nostalgic” vibe within it. Desert New Buildings has a lot of Techno in its sound signature with 4×4 drum patterns giving the music a strong drive and the sharper, more hi-fi sound of the samples makes this quite a jam really. A very fun mixture of intriguing music samples and a fat driving beat. DISCREET FEATURES ends the album with an equally driving Techno vibe and actually feels a bit like what the “hi-fi” version of a Lo-Fi / Outsider House track could sound like. The metallic drums, Dub Techno styled melodic samples of especially the first half recall that sound, in the second half however the music moves into a more subdued wave of filtered droning music samples. The samples recall material used on Product 02 and RAN SLAVIN seems to be particularly fond of bells and harp music samples but fortunately it feels rather more like music from an alternate universe rather than recycled material. The intriguing filtered music loops, rhythmic crackles carry that sweet sense of mystery in it that I really love about RAN SLAVIN’s music so it’s a great ending to this album. BITTERSWEET MELODIES showcases RAN SLAVIN more easy going and at times less abstract sound, with a more prominent focus on melodic and rhythmic structures that feel very organic and human. The 12 tracks all subtly evolve in waves of enjoyable melodies and grooves that are both calming and inspiring the imagination. I would definitely recommend this album not only to fans of SLAVIN’s other music and cinematic experimental music but also listeners who are into the more underground, Dub or minimalist styles of Techno with a strong sense of inventive sound design with a personal touch. Fans of Glitch and Turntable music will definitely find a lot of enjoyment in this album as well, so I highly recommend you to go check this out. Crónica is very happy to announce the release of Trondheim EMP’s new double CD “Poke It With A Stick / Joining The Bots”! These two albums represent different stages of the process of working with cross-adaptive techniques. The first album (“Poke It With a Stick”) represents the exploration, stumbling, finding, missing, and trickle of possible ways to tackle these challenges. These tracks were recorded during the main research period from late 2016 to early 2018. The second (“Joining the Bots”) represents the assembly, knitting together, gathering of explored solutions, and composing of (still wildly) running streams. These tracks were all recorded in May 2018. Recording Engineers and life savers: Thomas Henriksen, Rune Hoemsnes, Andrew Munsey, Tor Breivik, Terje Hallan, Gary Bromham. 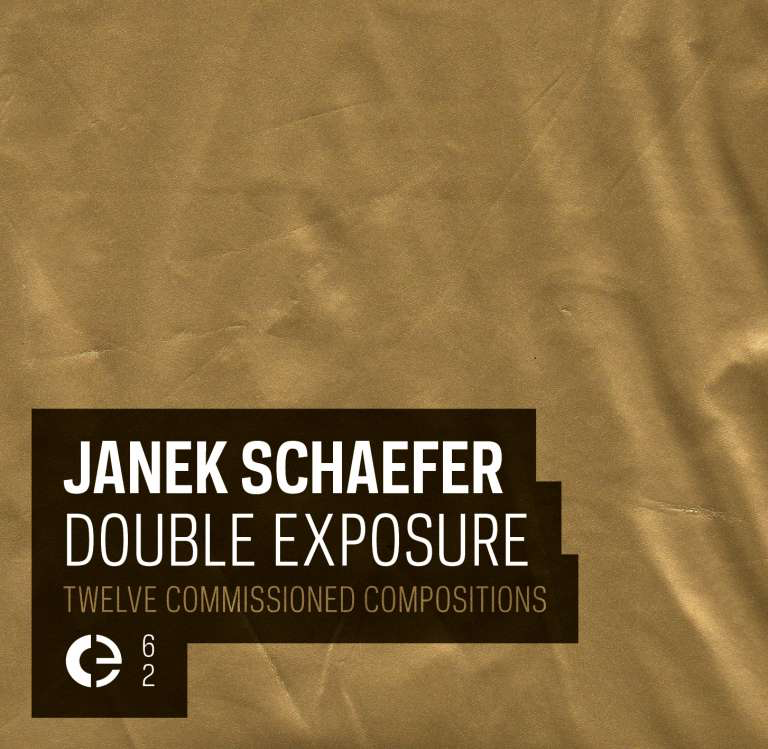 It’s time again to put a focus on the back catalogue of CRÓNICA as part of the Fluid Label Focus series with ths 2011 album by JANEK SCHAEFER titled DOUBLE EXPOSURE. This Digital Album is a 12 track selection of music JANEK SCHAEFER made for compilations, installations and other projects he was invited to create music for. While indeed there’s a variety of releases, installations and theatre projects these pieces are taken from, SCHAEFER has compiled this album to actually be a second “exposure” of this material to the listeners, creating a flowing album of music rather than an archival compilation with a focus on bringing this material together in contexts that will appear in the mind and imagination of the listeners. The album’s track list is also divided in 4 “sides”, a bit like a double cassette tape album, matching music from various years together this way. This Digital Album comes with the album cover in good resolution, the 12 album tracks in 16-bit/44.1kHz CD quality and a PDF file with an album description, thank you note, track list featuring track by track info on where the pieces were taken from as well as source links, the label link and distribution info and additional artwork photos on both pages of the PDF file. DOUBLE EXPOSURE starts with A1: Spark Rising Over the Lights of Scarlett Heights on Side 1. A calm piece featuring music box, cello and piano. In the descritpion it says that the piece was composed for a site-specific play titled “The Mill – City Of Dreams” which was presented in a deserted weaving mill in Bradford. A photo of Bradford city night-lights was laid over the score paper of the music box to produce the central theme. And indeed the music has a kind of “shape” to it, with the tones of the music box and cello twirling around a (for the listener) invisible shape, creating an atmosphere of peace and comfort but there’s also some cool wind blowing through the streets. A nice little interlude to begin this album with. Next up is A2: Broadstairs Childrens Piano Trio, a piece which is made up of layered loops of music for piano, gradually moving in organic waves of earth like sonic textures, with the mellow sound of the piano like glimmering hidden minerals. The music is indeed rather minimalist in the composition but the “waving” sound of the spectrum and progressively changing arrangement of layers creates an ambience that is not only meditative but also has a lot of small details and movements within the sound that are interesting to focus on while listening. Shifting from layer to layer as the music calmly flows. Then on A3: Requiem for West Wittering we have a similar approach, although here the source sounds themselves are more filtered and diffuse, like ambient pads the vinyl recordings subtly shift into one another, again moving in waves both in arrangement and spectrum. There are also some subtle field recordings in this piece however, which are especially audible in the beginning with the sound of crows as well as more pronounced crackles and ticks and pops from the vinyl itself. At one point there is also a recording that pops up that might be a field recording (which I guessed from a very soft but still audible high frequency whine from the recording) but it does blend in rather well with the vinyl crackles and with this SCHAEFER shows his strength at immersive and expertly shaped blends of soundscape and deeply intriguing atmospheric music. Then we get to Side 2 with B1: City of Dreams – Theme Tune, a long piece that was again composed for “The Mill – City of Dreams” play. This piece featured as entrance title music in the play. Ethereal and droning, the theme tune has ab even more subtle atmosphere to it than some of the other pieces on this album but also with hints of contemporary (classical) music. The piano driven piece features layered loops of constantly ascending scales as well as additional piano melodies. The music progresses very subtly in its stream of tinkling piano notes in which these notes blend together in the distance, forming clouds of bright “morning” ambience. This music is more about feeling the subtle details, new melodies and slowly rising and falling intensity of the stream than moving from one point to the other in the composition, which gives this music a very pleasant infinitely continuing kind of peaceful vibe. On B2: Coda for John Dankworth SCHAEFER uses “sharper” manipulation of various vinyl recordings, including guitar and a strange warbly kind of filtered sound. It’s a shorter, more straight forward piece of music that quickly shifts from a subdued filtered mixture of warm sonics to brighter, hissier and clicky Ambient ambiences created by the layers of vinyl recordings. Besides being a nice ambience there’s also some sweet rhythms in here, with the snare sounds from the guitar and vinyl crackles and pops adding some “percussion” to the glowing warmth of the soundscape. On B3: Fields of the Missed we have a composition created around many field recordings, which feature various bird sounds, bees, a horse with cart and wind sound. This piece has more of a movement in it that tells a sonic story moving from the initial peace and mystery from the beginning, where field recordings and filtered drone are combined to create a feeling of camping outside in the forest while a storm is coming up soon to the “euphoric storm” filled with a much brighter drone, wind chimes and intense wind back to the calm and peace from the beginning again. A great immersive and smoothly flowing soundscape story. Then we have Side 3, which starts with C1: Unfolding Honey. Here we have looped filtered tones over which a “blowing” sound is laid. The tones play a subtle soft and warm melody that forms a curious juxtaposition with the more raw sound of the blowing and the music has a very “close, but at the same time distant” air around it, like playing back through the subconcious instead of being perceived by listening and at the end ticks that sound like heels can be heard as well. This is music that is both calming and mysterious. On C2 Inner Space Memorial [for J.G.Ballard] SCHAEFER creates a long and very intense bright drone scape filled with organ like harmonies and resonances and a lot of vinyl crackles, almost sounding like rain on leaves in a forest. It’s a great drone piece in which you can dive into the deep waters of this river of organic atmospheres and constantly discover new details and melodic patterns within the dense layers of sound and melody. Like in the other pieces on DOUBLE EXPOSURE SCHAEFER also makes great use of panning in the stereo image, with a wide space the music is located in and smooth dynamic panning from several layers throughout the music, very good. Then on Side 4 we have D1: Asleep at the wheel… in-car soundtrack 7 [featuring Richard Heinberg] which is a key track from an installation. It features a mixture of vinyl sample drones and filtered drone manipulations together with sounds of cars and occassional radio dial browsing sounds as a background to Richard Heinberg’s speech criticizing the forced reliance on oil and fossil fuel based transportation that was especially encouraged in the US many decades ago. It’s definitely a good thought provoking speech that is especially relevant today and SCHAEFER’s music accompanies the text rather well with the continuous droning tones and crunchy crackles which aren’t dramatic or tense but let Richard Heinberg’s carry the piece and besides the music at some points being almost overshadowing Heinburg’s voice is mixed well together and it’s also a good invitation to check out more about the installation this was part of. Then we have D2: Crossed Wires, which is the piece that probably differs the most from the other pieces on this album. It features samples from an episode of a Canadian Radio series called “The Wire” which was about the history of music from electricity. It has a more raw and glitchy sound to it, featuring both music samples and samples from various sound effects and bits of voice. The music has a much darker sound to it, ominously droning down pitched tones, clicks of electronic equipment, tensely edited breathing samples as well as some low Industrial percussion. A thrilling, varied and quickly progressing sound collage that features various colours and many exciting moments in the composition. D3: Tinkerbelles is a sweet tinkling atmospheric music boxes interlude from the soundtrack from “The Mill – City of Dreams”. On final track D4: Exposure we have an Industrial soundscape blending machinery noises, plane sounds and various other hissy sounds with looping drones that carry a more degraded lo-fi sound to them too. Sounds very good, makes me think of Philip Jeck’s music a bit. What brings together in 2016 Valencian accordionist and composer Isabel Latorre and sound artist Edu Comelles, were the theories and philosophy of the late North American composer Pauline Oliveros. Comelles commissioned Latorre to perform a free interpretation of Oliveros’ Deep Listening which was recorded in a live concert in Valencia in May 2017. At the same time Comelles recorded some samples of the accordionist’s instrument. 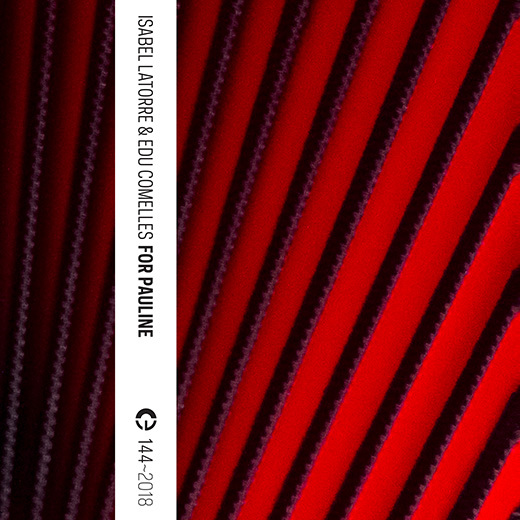 This cassette released by Porto based, Crónica Electrónica label, has two sides, in the first side is “Isabel Latorre Plays Pauline Oliveros” and in the second one is “La Isla Plana” by Edu Comelles, work inspired and encouraged by Isabel’s concert. Isabel Latorre timidly opens the bellows of her accordion to get some quick and brief notes, together with small blows that suddenly appear in the background. A sustained drone is installed in space while the wavering and improvised notes come in and out the disquieting atmosphere produced by Isabel. Comelles works the accordion sampled notes that he modifies producing omnipresent resonances. Today I’m featuring an interesting and nicely long release as part of my Fluid Label Focus series on the CRÓNICA label. 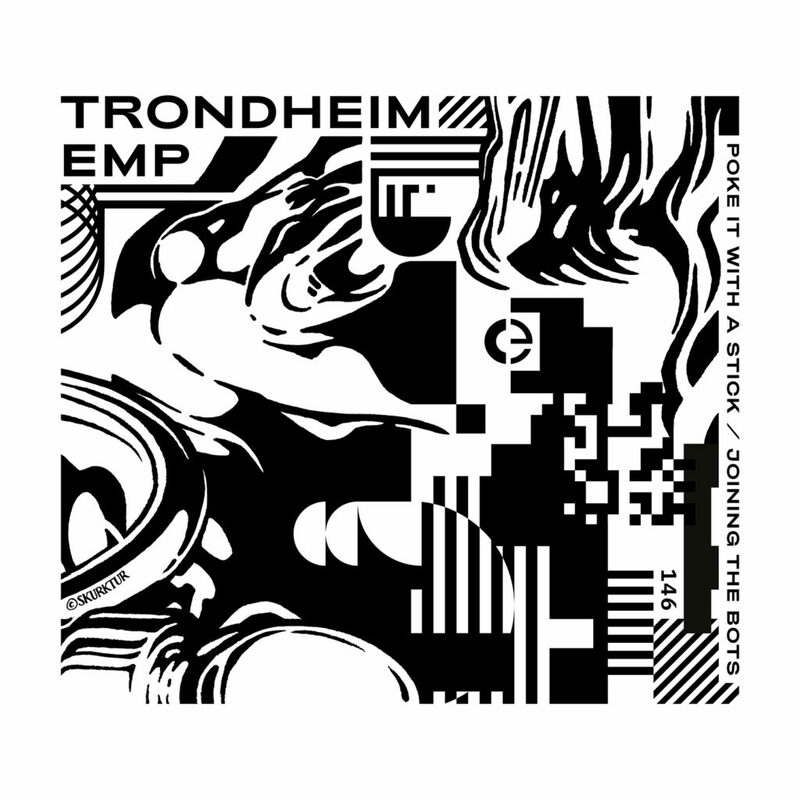 I received an advance review copy from the label from this new album by Electroacoustic music project TRONDHEIM EMP, titled POKE IT WITH A STICK / JOINING THE BOTS, so at the time of writing this review this album hasn’t been released yet. The release date at the time of writing is March 5, 2019. POKE IT WITH A STICK / JOINING THE BOTS is an album that’s the result of recordings made of experiments done with a cross adaptive performance system created by TRONDHEIM EMP band leader and instigator Øyvind Brandtsegg on the first part POKE IT WITH A STICK (which is DISC 1 on the 2 CD physical version of this release) and on JOINING THE BOTS (which is DISC 2 on the 2 CD physical version of this release) these experiments are edited, joined and developed into several longer pieces. Øyvind worked with the large number of musicians that make up TRONDHEIM EMP on the experiments as well as the later composed pieces as part of his Crossadaptive research project at the Norwegian University of Science and Technology. Øyvind’s Crossadaptive system uses audio analysis data from one instrument to influence the processing of the other as well as data feedback manipulating the processing from the first instrument by the analysis of the second one (and often third one) POKE IT WITH A STICK / JOINING THE BOTS features a total of 23 tracks over 2 hours 11 minutes playing time, most of which are the relatively short POKE IT WITH A STICK tracks. The advance review copy I’m using for this review features the album cover in decent resolution as well as a press release PDF file featuring artist name, album title, catalogue number and release year, release format, release link, album credits and release date and promotion contact info as well 3 pages describing this album. All pages of the PDF feature artwork as well and there is also a tracklist, financial support credit, list of researchers and performers as well as a list detailing all musicians featured on this album per track. First part POKE IT WITH A STICK starts with the track Unwitting Accomplice (the tracks in the download version feature labels relating to which part they are part of that repeat per track). The piece is a vocal improvisation in which two female vocals are mixed together. In this first piece the Crossadaptive processing is still a bit hard to discern as mostly delay and reverb effects are used. You can hear a certain movement (very slightly fuzzy compression) in the vocals however, which does hint that the vocals are effects by each other’s dynamics and loudness. The improvisation definitely has some kind of dadaist playfulness to it but also feels nicely “classic” in a way, as the abstract, sparse sound and minimalist effect manipulations makes me think of 60’s electroacoustic compositions and sound compositions made by contemporary music composers of that time. Very abstract but also very fun to listen and a well paced improvisation. On Voluntary Convolution we can hear saxophone and guitar in a recognisable Free Improvisation style, the performances and manipulations do follow quite an intriguing direction and the glassy sound generated by the processing add a great glimmering colourful sound to the guitar and sax’s funky and jumpy improvisations, it adds some mystery to the sonic palette as well. Vision Of Hope Surpassed features two female vocal layers, against with dadaist vocal improvisations, in this case we also have delay and reverb effect manipulations but also lovely stereo stutters effects, making the vocals sound like liquid. Sweet squeals and wild performances in general on this one and the stutters and delays create a great glitchy metallic edge to the vocals, very nice. Then we have Rapid Random Response Unit which features flute, guitar and female vocals. The piece feels quite like a soundtrack of a tropical forest, the vocals are subdued and the flute is choppy high pitched, quickly moving like wild animals and the guitar has a mostly percussive role in this track, clicking and shifting like little drops of water. The ring modulation on the flute further adds to this animal like sound and the reverb adds this nice sense of space in the music. Then we have Just Add Gravity, on which wild male vocal improvisations are further enhanced by stutters delays, creating a very animalistic primal texture. Pretty funny as well, nice piece. On Artist in Resonance we have Bass and Guitar which are manipulated into liquid and resonant baths of effect processing, there are very nice string sounds in here as well as pitch sweeps, I love the bass string buzzes especially. On Backbeat Sketch female vocals and bass form an ambience that feel pretty similar to Arthur Russell’s music (though with female vocals instead), though it also features some cool stereo panning buzzing effects. Overall a more straightforward melodic piece but with a great classy acoustic sound with touches of effects processing. Then we have Now We Try It My Way in which the Crossadaptive processing is much more subtle. It’s quite Free Improvisation freakout but the piece also has plenty of cool touch in the percussive bass playing and detailed airy sound of the saxophone. It has a very physical sound to it and great improvisational energy. Screechy sax sonics at times almost turn into wild squeaking birds, great sonic textures created in this piece by the instruments. I Confess is another piece that has an Arthur Russell like sound to it, again great performances in this and tasteful effects processing as well as a captivating positive melody which has some Middle Eastern touches of mystery to it. Then we have title track Poke It With A Stick on which mostly hissy “noisy” vocals create abstract clicking and metallic structures, some of the vocal sounds ending up sounding like scattering bits of plastic stuttering and falling. Lovely abstract rhythmic soundscape in this one. In Total Internal Reflection saxophone and bass create resonant waves of atmospheric glassy sound through their “staircase” like improvisations of staccato rhythmic melodic patterns. A great mixture of ambience and jumpy rhythms in this piece, very nice. Heavy Meta only features drums but still there are guitar like drones audible, most likely derived from resonances in the drums themselves. The track feels like a cross between a percussion improvisation and a both atmospheric and experimental Post Rock track. The subtle drone resonances combined with the clattering, filtered and subtly distorted drums create a curious vibe that feels like the music is sometimes moving in a melodic direction, whilst at other times shifting more into percussive soundscape. On Not Invented Here saxophone and (mostly unrecognisable) guitar jump around in a swamp like water filled ambience. It’s a very odd sounding free piece with the notes jumping all around as well as the quirky sonic textures of the instruments making it sound like animals communicating with eachother, very wild and fun track. Then on So Much For Subtlety spoken vocals are manipulated into resonant panned and ghostly echoes blended with subtle sung vocals. There’s a great nuance in the separate words being especially put into focus in this piece which gives it a great expressive movement both in the content of the words as well as the textures created. Final track of POKE IT WITH A STICK, Zero Credibility features a lot of cool stuttering glitch effects in the mouth sound heavy vocals but also features some subtly resonant droning vocals creating an alien artificial soundscape of disembodied voices, very good. On the first track of JOINING THE BOTS, Hollow World, a bass gets turned into the sound source for a hollow glassy resonant round atmospheric droning composition. Many shifts in sonic texture occur in this piece as they keep evolving and changing shifting from cleaner bass sound to droning filtered images of bass resonance. Plucked strings add extra percussive details to the composition as well, a hypnotic, meditative but also active piece of music. You’ll Thank Me Later is the first piece on this album when the music shifts into a much noisier kind of sound than we’ve heard before. Wild dadaist female vocals are combined with electronic percussion and a digital instrument called the Marimba Lumina, creating constantly changing waves of heavily filtered and effected vocals, distorted thumps of percussion as well as equally distorted Marimba Lumina parts creating a very free composition, oftentimes abstract, aleatoric and fuzzy but at some moments also more recognisably melodic. A curious blend of jazzy marimba improvisation and avant garde Noise experimentation in an often quite deep sonic stage, very nice. Within Reason has the same instrumentation as You’ll Thank Me Later but moves into metallic and harsh Industrial sonics. The distorted and ring modulated percussion takes more of a foreground part in here though the vocals are still an essential part of the piece, there’s even some bursts of Noise and hard hitting distorted kick patterns. 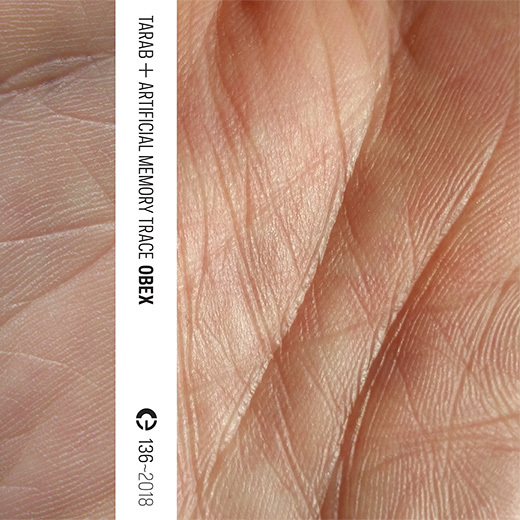 There’s definitely a very different approach to the Crossadaptive processing and different instrumentation on here than on POKE IT WITH A STICK and it adds some great variation to the two part album release as a whole, very nice. Then we have the track Irregular Apocalypse which features some very extreme sounds and performance, think of Within Reason but with much more Noise bursts and Industrial percussion hits and wild wild strange alien female vocals and screaming. Great intense vocal and instrumental performances and processing on here. Tactical Grace is a more sparse piece featuring tinkling bells resonating in the quiet space, haunting ghostly female vocals and mysterious synth tones, Marimba Lumina and both funky and jazzy guitar tones (especially in the last part of this piece). I love how this piece evolves from the calm ritualistic improvisation in the first half to the space jazz improvisation in the second half, it’s got a classic performance feeling to it yet still with contemporary sonic textures, very nice. I did notice however that on the JOINING THE BOTS part of this release the instrumentation of the music is organised in sets featuring the same or similar instrumentation rather than the varied mixture on POKE IT WITH A STICK, fortunately however the music on JOINING THE BOTS is varied enough to not make it sound repetitive or similar. On title track Joining the Bots we can hear the stutter glitch effects from POKE IT WITH A STICK on female vocals combined with a sparse but also expressive resonant drum performance, after some time into the piece the guitar (which at the beginning is only playing rhythmic staccato notes) turns into more of a haze of dissonant Noise which adds some great edge and energy to the piece as well as building towards an exciting climax. Great combination of minimal instrumentation with glitch elements and Noise in this piece which also features good usage of silence in its composition. Synchronize Your Dogmas follows pretty much directly from the previous piece and features the same instrumentation and processing but the vocals get more chaotic both in performance and processing and the music builds towards a calmer and more atmospheric end with repeated mysterious guitar drones shifting in the background while the glitched vocals and scattered drums slowly “disintegrate”. Works well as a second part of Joining The Bots. Then we have final track Echo System which features drums, vocals, guitar and Marimba Lumina. The piece moves from an ethereal atmospheric first half into a more jumpy improvisational second half. The first half features some great female vocals creating glowing drones through the delay and reverb effects which are accompanied by additional tones and subtly rattling percussion, very calm and meditative. Around the second half the music starts to move into a wilder and funkier direction with waves of noisy sound, funky bass synth, distorted guitar melodies and ambience as well as more intense rimshot percussion. The quirky synth melodies and waves of fuzzy guitar are particularly nice as well. Great closing piece.